Project Catalysts junk ensemble are currently touring The Falling Song in the UK, before bringing it to four Irish venues this April. 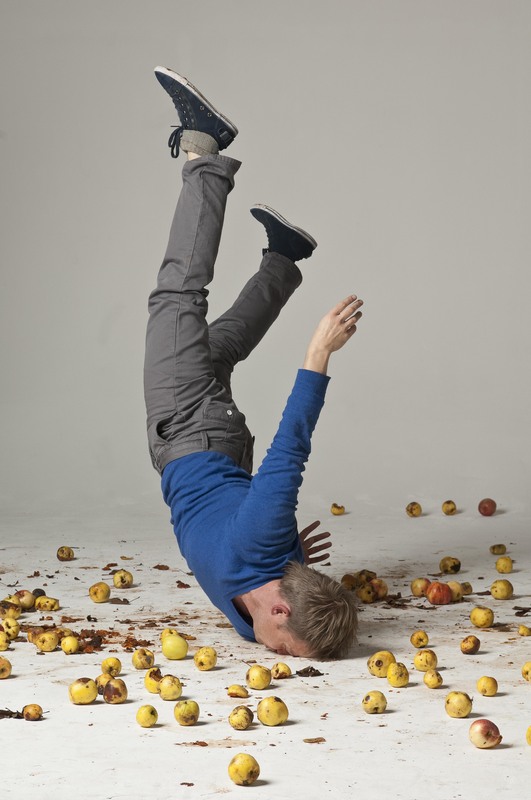 Performed by an international all-male cast and a local children’s choir and featuring a set of towering ladders, ropes and hundreds of apples, this critically acclaimed production looks at the nature of flying and falling and the dangerous relationship between the two. junk ensemble are part of Project Catalyst, an initiative of Project Arts Centre.